Driving through southern Arkansas feels a lot like driving though Iowa, row after row of crops as far as the eye can see. Except instead of corn the crops are trees. Every few seconds a flatbed roars past loaded with logs, leaving in its wake the smell of pine and a reminder that this is logging country. In Arkansas the industry ships $7.3 billion in products annually, employs 43,371 residents and covers 58% of the state's total surface area. 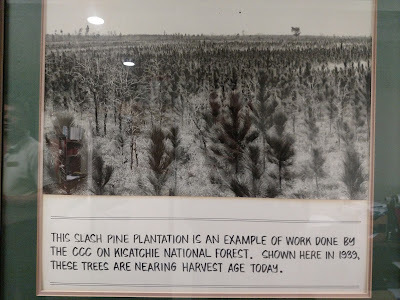 But the region is also home to the endangered shortleaf pine ecosystem and 'species of greatest conservation need' (SGCNs) such as the red-cockaded woodpecker (RCW). 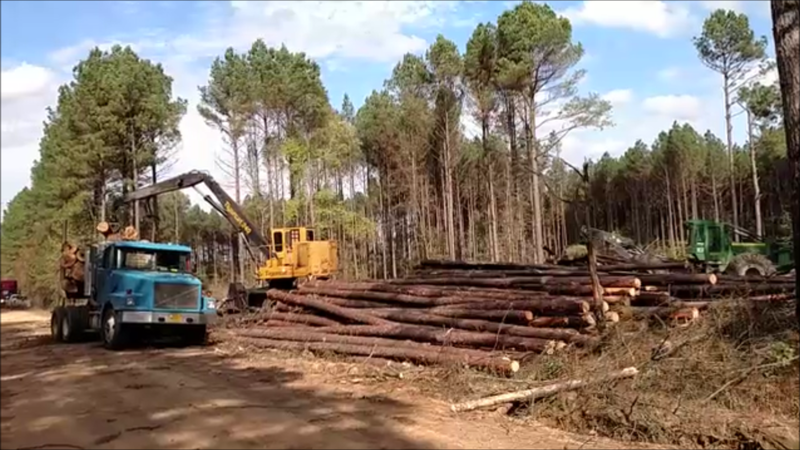 Logging and conservation. Seems like a guaranteed conflict. But I spoke with Clint Harris from The Nature Conservancy (TNC) to see if there's hope at reconciliation. 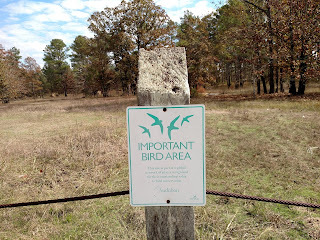 Especially with beacons like the Warren Prairie Natural Area (WPNA). 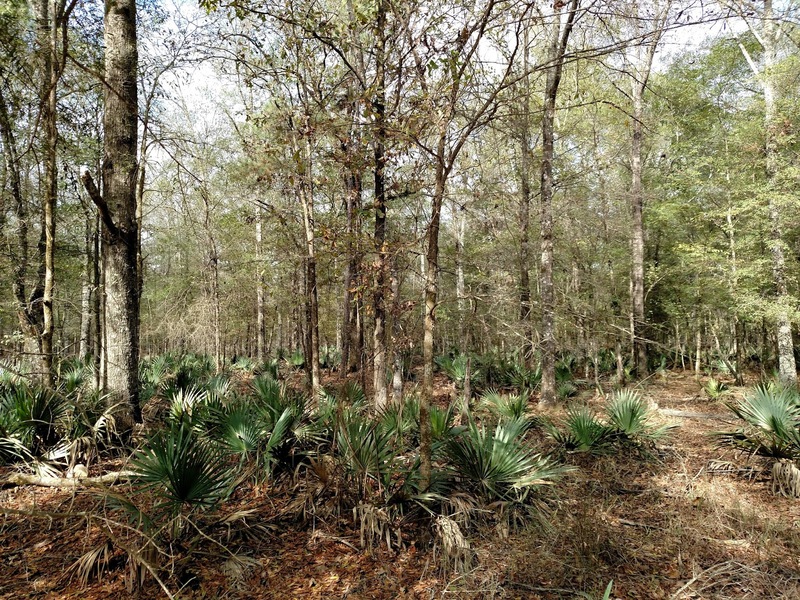 It's a model for restoration of flatwoods and salt barrens, as well as RCW and other SGCN habitat. 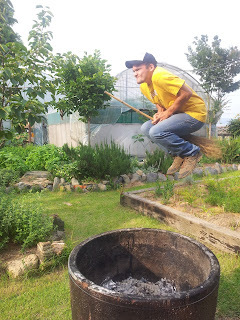 Yet WPNA is intimately linked to logging. Its 4,616 acres are surrounded by logging country. It was previously a logging plantation itself. 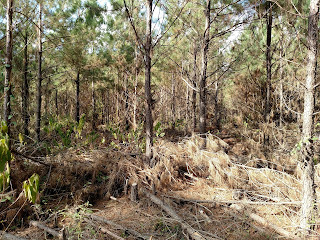 And believe it or not logging was a primary tool used in it's restoration: thinning to a low-density, healthy ecosystem. Furthermore, it will continue to be logged, selectively and scientifically, until achieving an ideal, open forest. So let's visit the site for a closer look at logging in Arkansas, as well as the restoration process. I also complied a "how-to" video on Basal Area, the crucial concept for restoring forests with logging. The logging industry spread to Arkansas following the Civil War. Mills, railroads, and entire communities grew in support. In the late 1800's and early 1900's logging companies practiced “cut out and get out,” leaving both landscapes and towns empty. By the 1920's the region had been almost entirely clearcut. (Regeneration methods, like seed tree or shelterbelt, and other "sustained yield forestry" methods weren't adopted until later). In the 1930's and 40's, the Civilian Conservation Corps (CCC) replanted much of the region, mostly with loblolly or slash pine due to their ease of transplanting, faster growth and higher timber values. Display on wall of Kisatchie Ranger Station. Geocarpon minimum is a federally protected plant and part-time coin model. It's a prehistoric relic with few remaining populations, due to its small size, intolerance of competition, and dependence on specific habitats, salty ones. In 1938 the State protected some of the salt barrens in the area for this species. Now WPNA has the largest population in Arkansas. It turns out I missed the growing season or Geocarpon minimum (they're ephemeral, see Ecology section in Glossary), even though I brought the requisite dime. I also brought a quarter for measuring basal area. This turned out to be quite a costly visit. 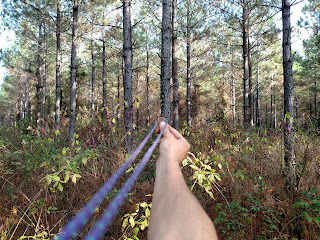 Basal area is a helpful tool for measuring forest density. It's also a main criterion of forest restoration projects. Basal area is the total amount of space occupied by tree trunks, measured in square feet per acre. Unmanaged forests without fire or thinning can reach 150 BA or higher. To determine BA you can measure the area of every tree within the acre and add. Or you can use the Point Sampling technique, demonstrated in my "how to" video below. 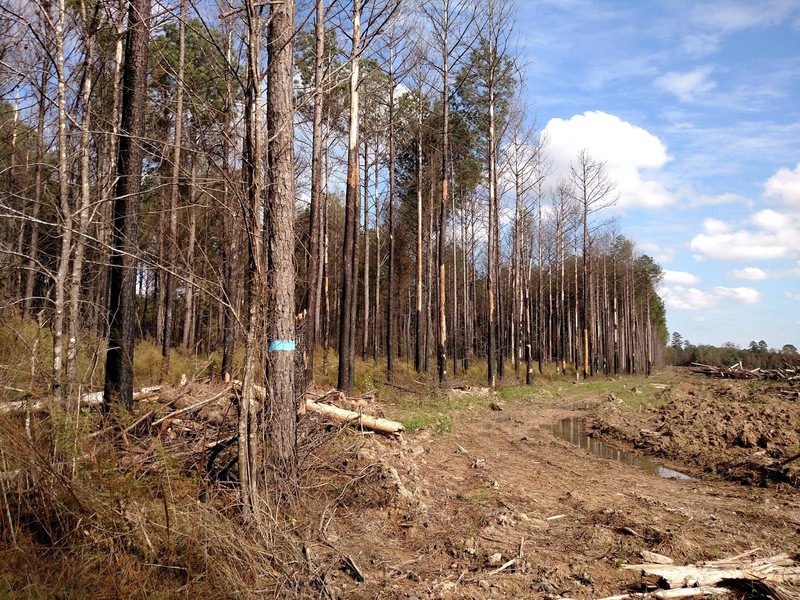 Also check out the video for a comparison of loblolly plantation vs. restored habitat. For more on the "why" of this measurement technique, the Alabama Cooperative Extension has a handy pdf guide. 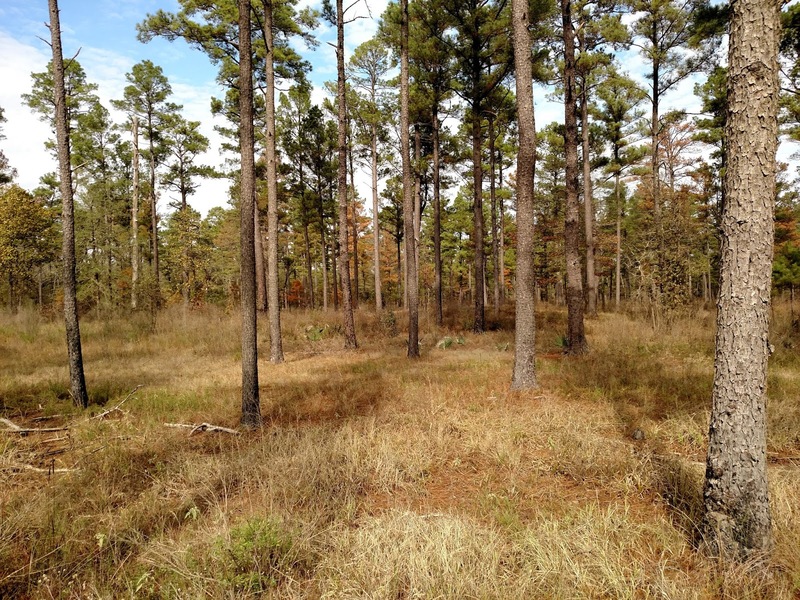 State and national forests like Gene Rush WMA, Ouachita and Kisatchie all manage their land for both simultaneously. For example, the USFS at Ouachita noted a long-term increase in timber value following burning and thinning management regimes. As for nationwide statistics, the USFS sold 2.4 billion board feet of timber products from restoration efforts (thinning) on 195,000 acres, a number they intended to increase annually. 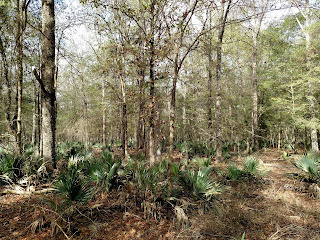 Dwarf palmetto, the understory of sorta-tropical Arkansas. "We utilize several logging operations yearly to move toward obtaining our vision of DFC (desired future conditions). Logging has provided us not only funds to improve habitat through stewardship activities, but also provides funds to help protect land in diverse ecosystems. That being said logging in WPNA will continue to take place until the DFC are reached at a fire maintainable scale." 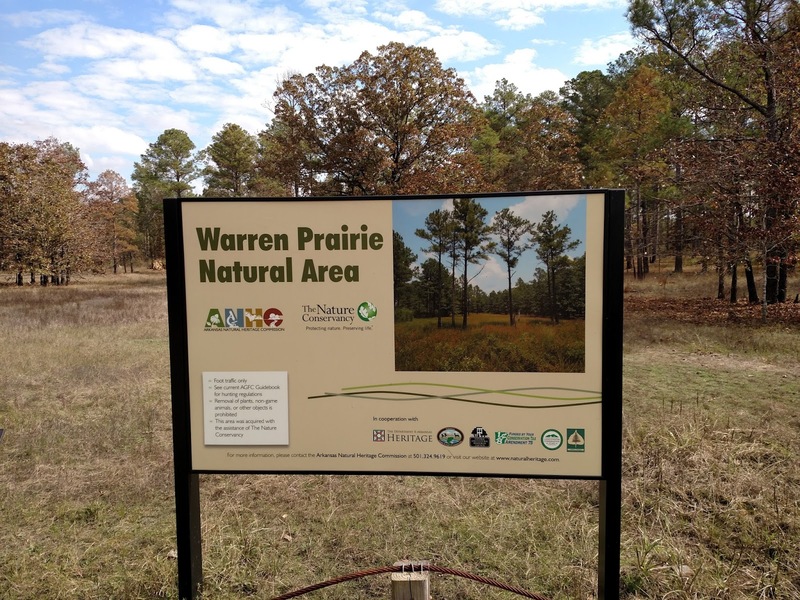 Salt barrens put the "prairie" in Warren Prairie. While logging may have historically been a cause of ecosystem destruction, it can now be a tool of restoration. 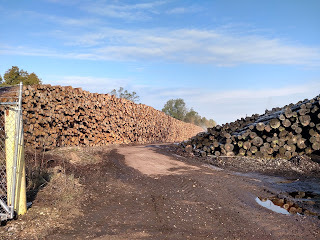 Restoring forests with the labor of loggers and the profits of timber seems like a brilliant example of "the problem is the solution" mentality. Brilliant and practical. Cooperation not conflict, that seems to be the approach of conservationists like Clint Harris and the TNC. 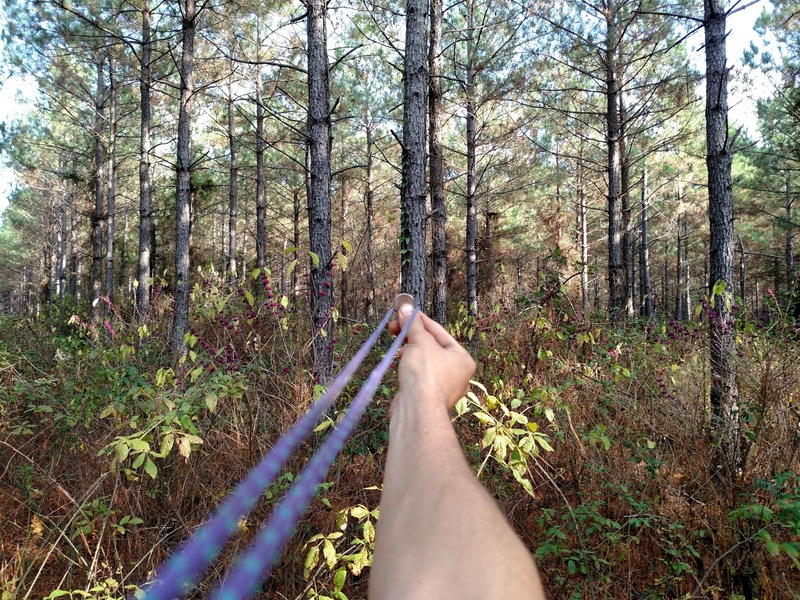 That seems to be the key to restoring Arkansas' forests. Buffalo Road Auto Tour - An overview of the restoration process. Gene Rush Wildlife Management Area - Background on fire suppression and reintroduction, and its effects on the ecosystem. Warren Prairie Natural Area - Background on logging, and how to measure a restored forest. Clint Harris, private correspondence. November 12, 2015. L.D. Hedrick, et. 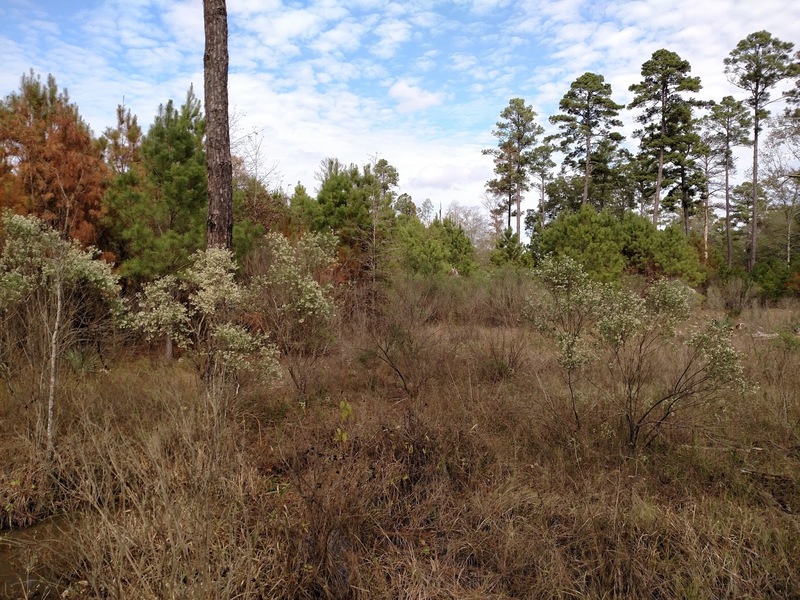 al., "Shortleaf Pine-Bluestem Renewal in the Ouachita Mountains," USFS (2006).